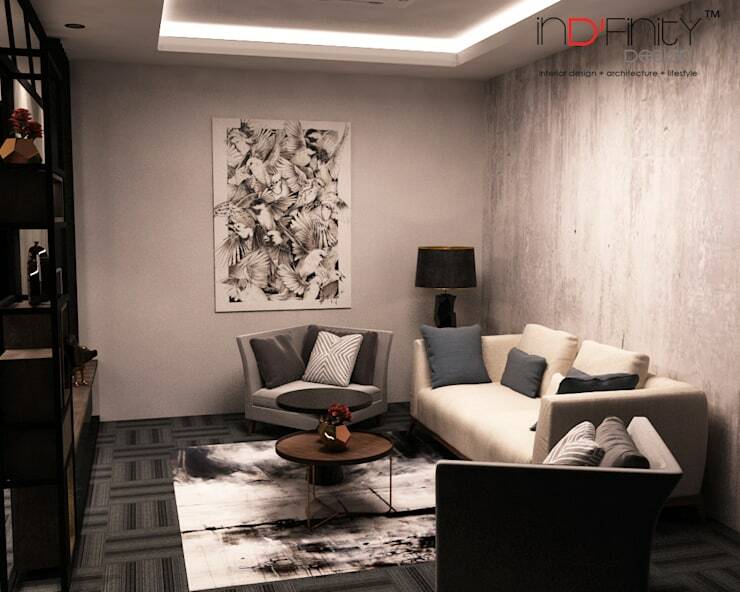 Kuala Lumpur-based firm INDFINITY DESIGN (M) SDN BHD is the focus of today’s inspirational piece. 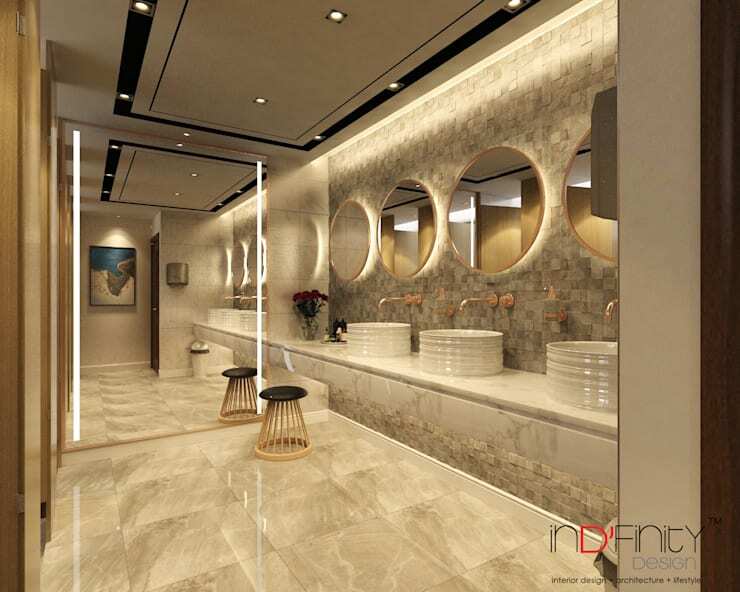 With a focus on interior design and decorating, the company is actively working to not only expand its business overseas to India, Abu Dhabi, Cambodia, Dubai, and Oman, but to also bring its design ideas, passion and concept into these countries. 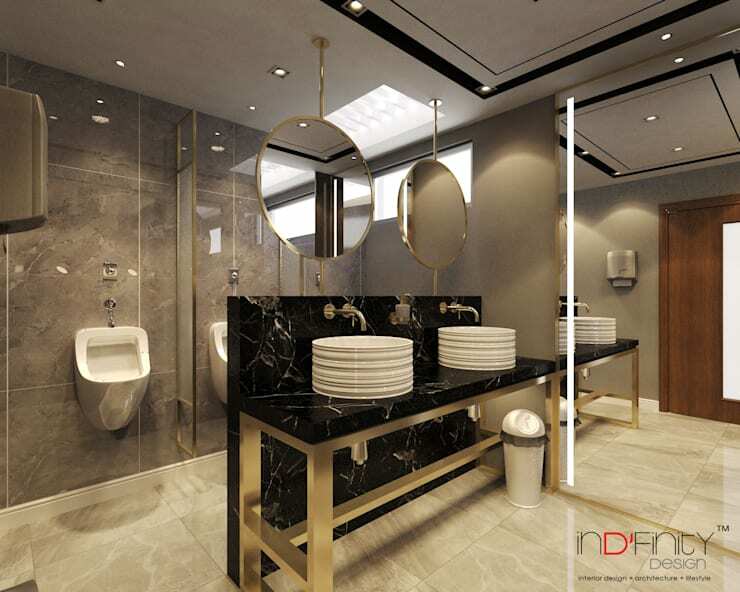 Staying true to their day-to-day philosophy, INDFINITY DESIGN (M) SDN BHD is working towards achieving zero defects and complaints. 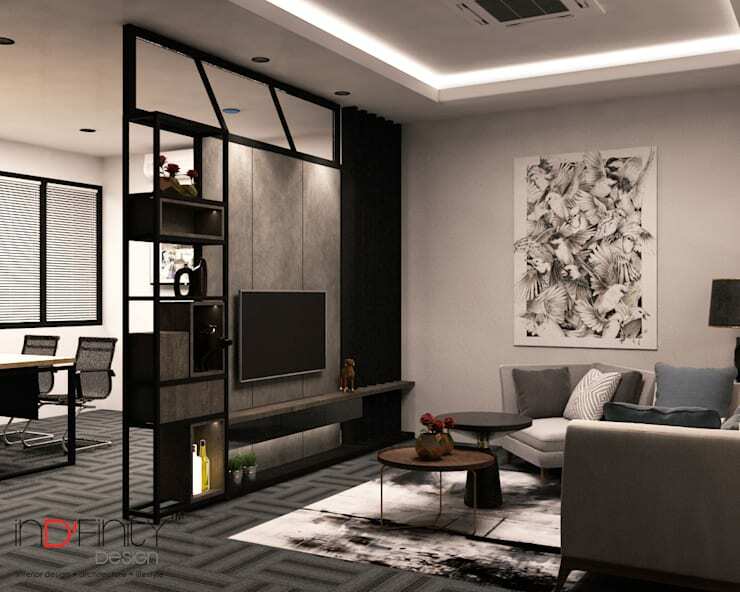 With a high respect for their clientele and themselves, the company is also aware of the importance of timing in the business world, hence minimising the chances of delay in the submission of proposals and completion of projects. 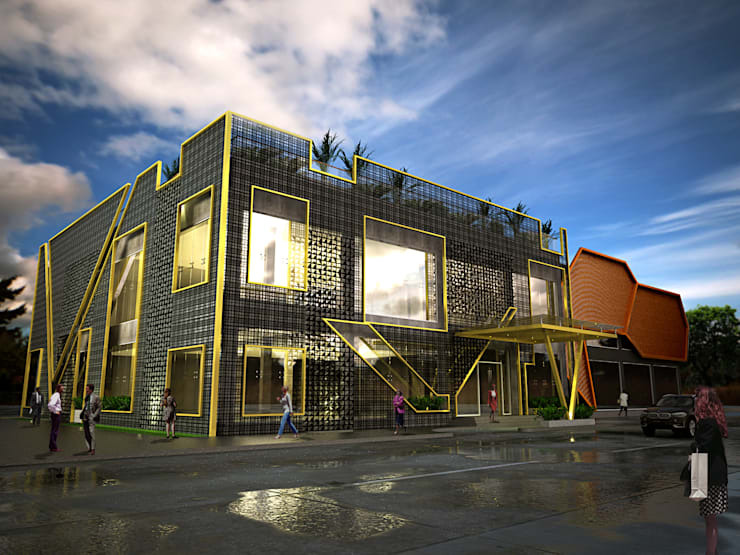 Let’s be inspired by a 2017 project of theirs: a modern exclusive commercial design in Cambodia. 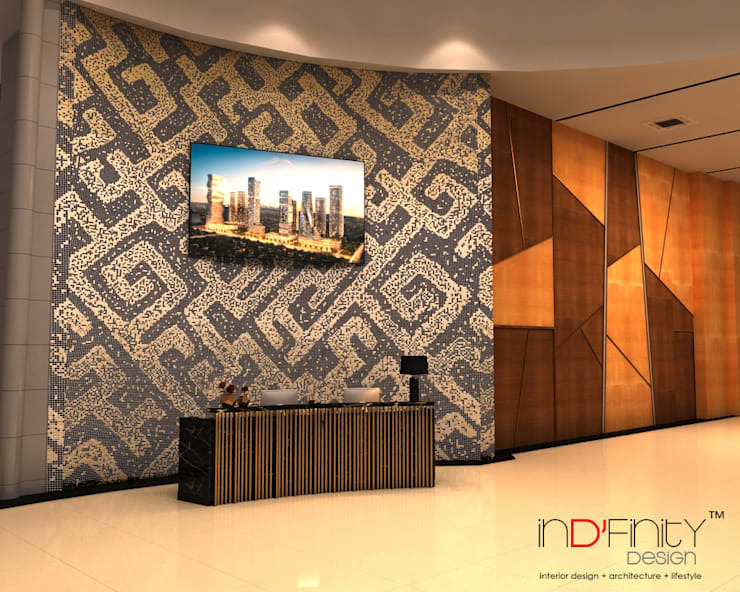 All the winning touches of interior design are present in the reception space – quite fittingly so, seeing as this is the first impression clients receive of this company. 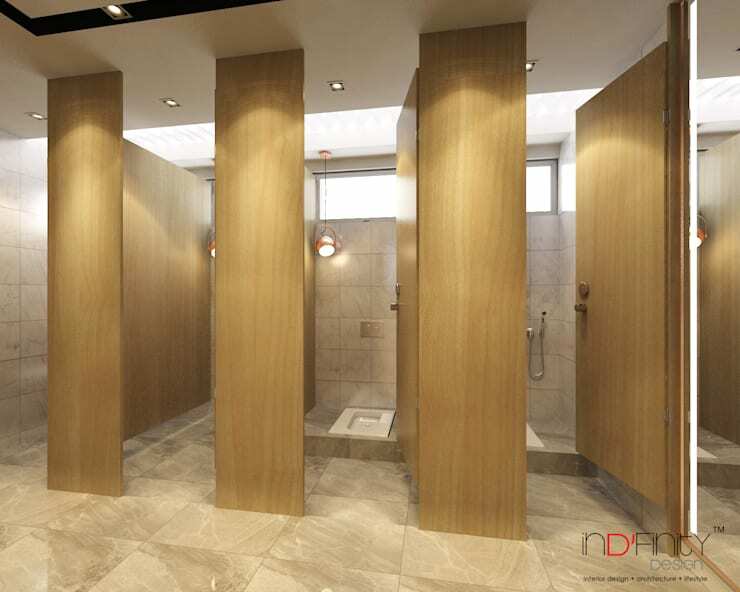 An oversized pattern design contrasts quite strikingly with the earthy hues of the wooden wall design, while also complementing the overall elegance of the space. 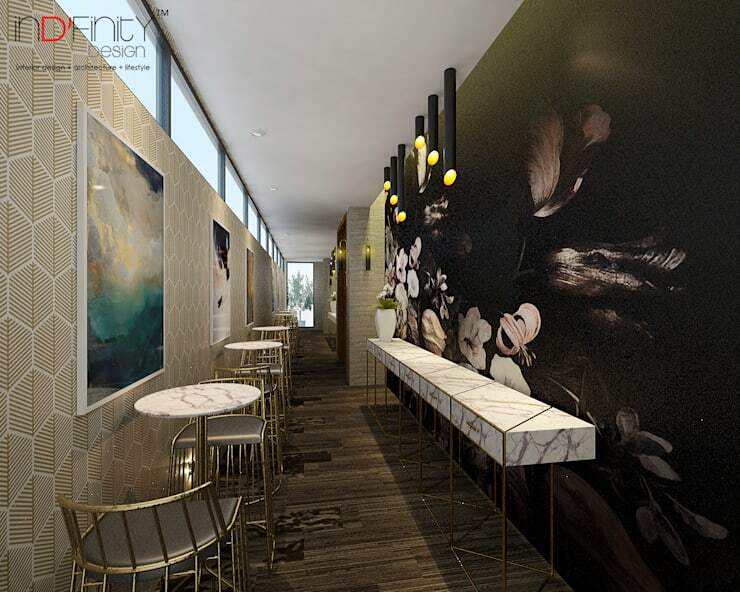 Located a few steps away from a private office desk is a relaxed meeting space, complete with luxurious seating and top-notch technology features. Notice how the soft colour palette makes the entire layout seem more visually spacious and welcoming. For anything relating to snacking or lunch, the staff cafeteria is ripe and ready. 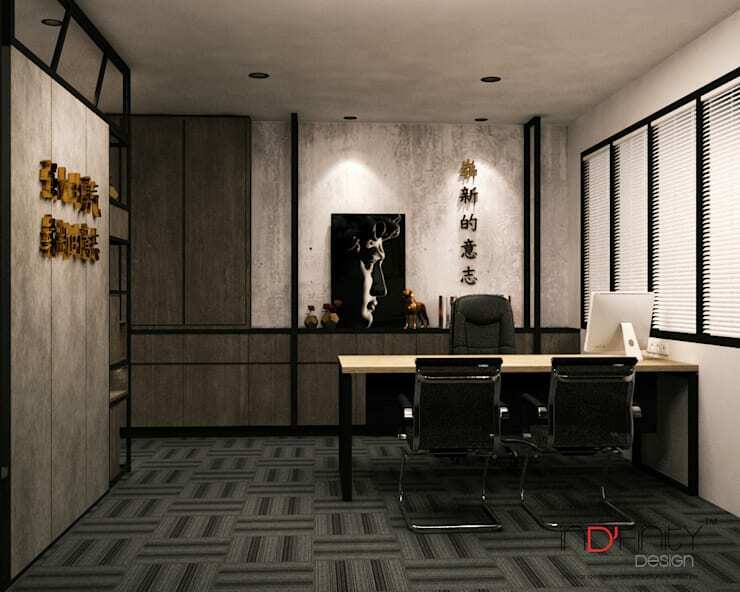 Wooden flooring in a dark palette adds a touch of boldness to the space, offsetting uniquely with the patterned walls. Whitewashed marble and gold trimmings ensure a touch of elegance for the seating areas. For assemblies and important business meetings, the boardroom provides more than adequate legroom for associates. Timber surfaces in a soft caramel hue offset with dark chairs, resulting in an almost monochrome scheme. Contemporary lighting fixtures complete the modern design perfectly, making this meeting space perfect for the 21st century. Let's enjoy a few more images that speak of this top-notch design project. From commercial to residential, be inspired by A Contemporary Home with Retro Décor and Industrial Style.